VANDALIA — Vandalia Police Chief Douglas L. Knight died unexpectedly Friday at the age of 67. He was born January 3, 1951 in Bellefontaine, OH, to Lawrence S. and Martha Ellen (Miller) Knight. Preceded in death by his father, Doug is survived by his wife of 40 years, Colleen (Sherry) Knight; his mother, Ellen of Loveland; 2 children, Stephen Knight & wife, Danielle Sipe of Englewood and Erin & husband, Chris Griffith of Tipp City; 2 granddaughters, Lacie and Lily Griffith; 2 brothers, Jim & wife, Karen Knight of Loveland and Mark & wife, Darlene Knight of Pickerington; along with nieces, nephews, other relatives and numerous special friends. Doug was an active parishioner of St. Christopher Catholic Church in Vandalia. Chief Knight earned his undergraduate degree in criminal justice at the University of Dayton and received a Master of Arts degree from Central Michigan University with a major in management and supervision. He was a graduate of the 161st Session of the FBI National Academy as well as the inaugural session of the Law Enforcement Foundation’s Police Executive Leadership College, and was a Certified Law Enforcement Executive (CLEE). His professional affiliations include Past-President of the Montgomery County Association of Police Chiefs, Montgomery County Criminal Justice Policy Board & Council where he served as the past-Chair. 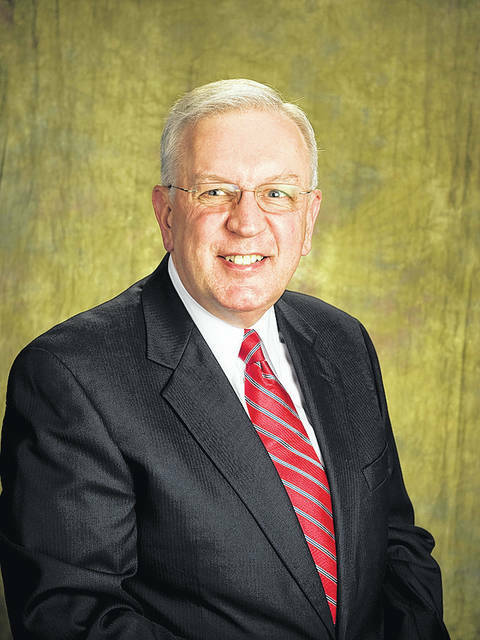 He served as the Vice-Chairman of the Criminal Justice Training Center Advisory Board at Sinclair Community College, as Past Ohio President of the Ohio and International Associations of Chiefs of Police, as well as an Assessor and Team Leader of the Commission on Accreditation for Law Enforcement Agencies, and was also proudly serving as a current Commissioner for CALEA. Doug served as a former Board Member of the Law Enforcement Foundation and served as an Advisory Member of the Ohio Supreme Court’s Futures Commission and Domestic Violence Task Force. Knight joined the Vandalia Division of Police as a road patrol officer in 1979 after spending time as a Montgomery County sheriff’s deputy and a campus police officer at The Ohio State University. He was promoted to the rank of Vandalia police sergeant in 1984 and then deputy chief of police later that same year. He left the City for a short time, accepting a position as deputy chief of police at the University of Cincinnati in 1986. He then returned “home” to put his experience and talent to work to lead the Vandalia Division of Police as its chief in 1988. Doug was a community leader and proudly served Vandalia by involving himself in a number of clubs and organizations. He served as the Past-President of the Vandalia Lions Club, as Trustee Emeritus of the Vandalia-Butler Foundation, as Past-President of the St. Christopher Church Pastoral Council and was a member of the Vandalia-Butler Chamber of Commerce, the Vandalia-Butler Historical Society and served on the Policy Development Team with the Vandalia-Butler Board of Education. In 2002, Chief Knight was awarded the David L. Sabec Award for Outstanding Community Service, along with the Roll of Recognition Honor from the Vandalia-Butler City Schools. Mass of Christian Burial will be held at 10:30 am, Thursday, April 19 at St. Christopher Catholic Church, 435 E. National Rd., Vandalia, with Fr. John Tonkin officiating. Interment will follow at Polk Grove Cemetery. The family will receive friends from 4-8 pm, Wednesday, April 18 at St. Christopher Church. In lieu of flowers, the family requests that you please make donations to the Doug L. Knight Memorial Fund, c/o the Vandalia-Butler Foundation in his honor.